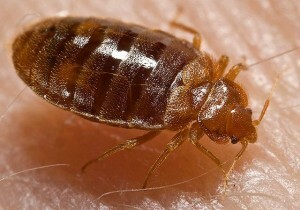 Heat treatment for bed bugs is becoming increasingly popular. This is especially true considering that, in the past few years, bed bugs are becoming increasingly more prevalent in the United States. It is not at all uncommon to these these pesky little creatures in shelters, housing complexes, hotels, motels, condominiums, schools, hospitals, nursing homes, assisted living facilities, office complexes, apartments, public transit units, dormitories, and other locations where people live, stay, and travel. If you are an apartment owner, it is vital that you take the steps necessary to ensure that your housing complex remains free of bed bugs. It is a known fact that the elimination of bed bugs may prove to be a time-consuming, grueling, and exceptionally expensive procedure. One of the main reasons is that the insects are becoming increasingly resistant to the common pest control methods that have been used throughout history to eliminate them. As an apartment owner, you know and understand that it is not possible to scan a tenant before renting to them to determine if their belongings include an infestation of bed bugs. You know that it only takes one tenant to move into your apartment complex with an infestation to result in a complex-wide infestation that may prove to be exceptionally costly. As an apartment owner, you must take steps all year long to eliminate any bed bugs that may be present in your complex and prevent future infestations from occurring. This includes ensuring that apartments are completely cleaned on a regular basis when they become vacant. The floors, walls, and baseboards must be completely sealed. If your apartments are furnished, you must use encasements on mattresses and box springs to prevent the nesting of bed bugs in those regions. You should also schedule monthly walk-throughs on each apartment that is rented to ensure that your tenants are keeping them clean and that infestations are identified before they spread to other apartments within your complex.